Please note, Techspace Shoreditch only hosts tech-related events. If in doubt, please feel free to enquire. 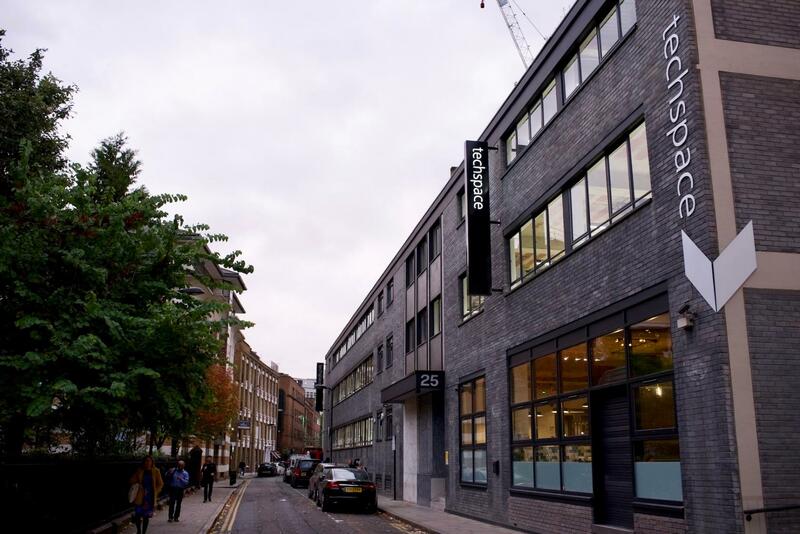 Located in the heart of Shoreditch, a short walk from Old St. roundabout, Techspace Shoreditch offers a 2,000 sq ft Event Space. Boasting high ceilings and offering lots of natural light, the space is known for its remarkable double-height south-facing windows, exposed brick and leafy views over Mark Square. With space for 100 seated or 250 standing, the open plan event space is ideal for tech workshops, small tech conferences, tech product launches, dinners and networking events. We welcome both private and community events, so long as they are tech-related. With an industrial yet modern and quirky look, your guests will feel entirely at ease in The Loading Bay, whether they're lounging in one of our comfy breakout spaces or helping themselves to complimentary gourmet tea and coffee. Presentations are a breeze in our beautiful, well-lit theatre area with full tech capability including wired and wireless casting options, microphones and a SONOS system you can control. Great space with a premium feel and good facilities. Top class customer service, super helpful team who made themselves available throughout. I would highly recommend. The one and only thing that let this place down was limited and poor quality AV. I was surprised as it looks like the kind of place that should be fully furnished with decent kit. The clip mics were cheap and created so much feedback we were unable to use them. I was informed that efforts are being made to make the necessary upgrades - we would definitely be back if/when this was done as it really is a great event space. Really spacious venue, staff were really friendly and accommodating. I would definitely recommend. Screen is a little small for larger events and we didn't have enough water jugs on the day - apart from that all good! The space and the Andrew and his whole team supported us fully. Very warm welcome and the space is great for the price.